Following on from their successes last year, students from Cork University Business School’s Business Information Systems Society have once again organised CoderDojo events for kids aged between 8-12 at UCC. Taking their lead from James Whelton, who established the CoderDojo movement in Cork during 2011, last Saturday members of the BIS Society began providing free coding classes to 60 school kids from throughout Cork City and County. From its modest beginnings in the National Software Centre in Mahon, the CoderDojo movement has become an international phenomenon, with over 1,100 verified Dojo clubs located in 63 countries. Each Dojo club sees mentors share their knowledge and expertise with young people in an informal, creative, and social environment where they can learn to code, build a website, create an app or a game. Given their skillset, BIS students are perfectly placed to offer their expertise as mentors, with 20 society members having volunteered their services. So as to ensure that the 60 school kids who have registered get the most from CoderDojo, at a minimum, five mentors are assigned to each computer lab. Two mentors are tasked with demonstrating the task at hand, with three further BIS students making themselves available to anyone who needs further advice or help. Not that many will need it according to Ellen Benaim, Chairperson of the BIS society, who last year found that many of the participants already had a firm grasp of programming code. Even for novice participants, not only will they have learned the basics of coding after only four classes, but created a fully functioning game that they can bring home and keep. 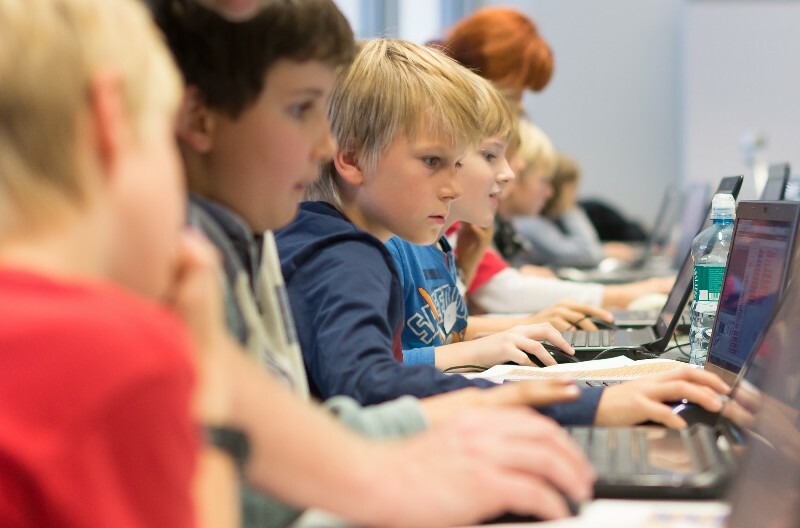 The demand for places demonstrates the popularity of CoderDojo, after the number of participants tripled from 20 in 2016. Indeed, such has been the level of interest, the BIS Society are considering running a second series of CoderDojo in the new year. The success of CoderDojo previously saw the BIS Society received the “Best Civic Contribution” award in UCC Societies awards and help foster their sponsorship association with EY. Although the current CoderDojo series is already underway and will conclude on November 25, limited places remain available.